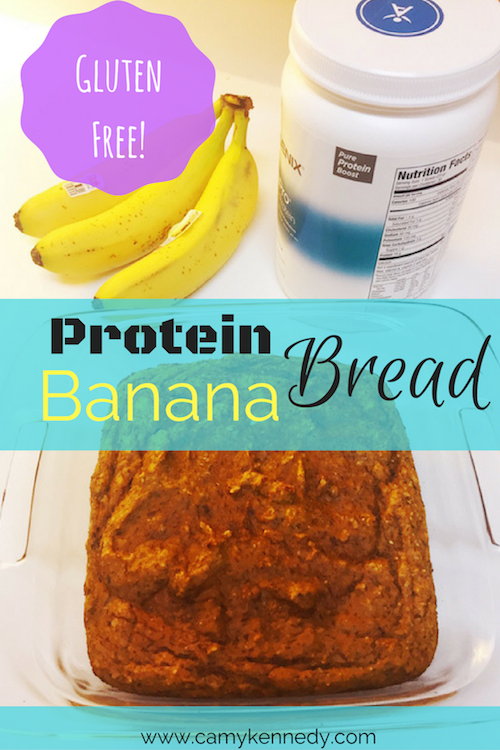 How to make delightful Protein Banana Bread (Gluten Free) and change up your breakfast coffee morning routine! I don’t know about you, but I love bread, and breakfast coffee cakes and sweets of all kinds! 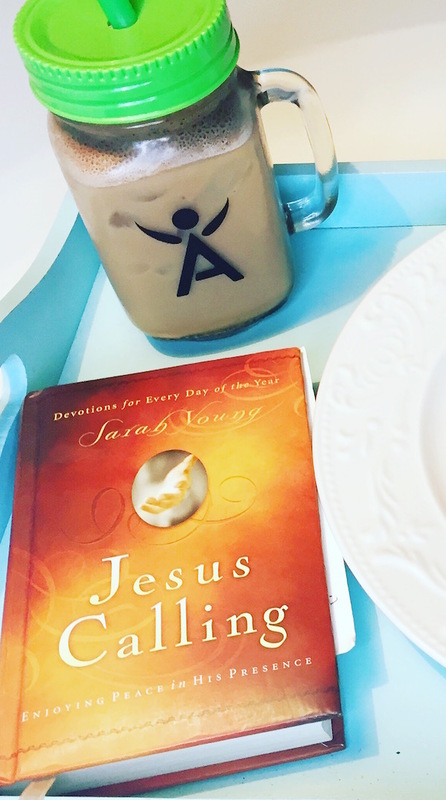 And if you are starting a clean eating routine, and creating new habits to replace that Starbucks sugar loaded coffee + “Low fat” coffee cake, then give this recipe a try! Another way to use whey protein — use left over coffee that has cooled to room temperture (or better yet brew it at night and stick it in the fridge). Then add the following: 1 cup of ice, 2 packets of truvia, 2/3 cup of cashew milk, cocnut milk or almond milk, 3/4 cup of coffee, and 1 scoop of vanilla protein powder! Now you’ve saved money, saved calories and added 18 grams of protein goodness to your morning routine! 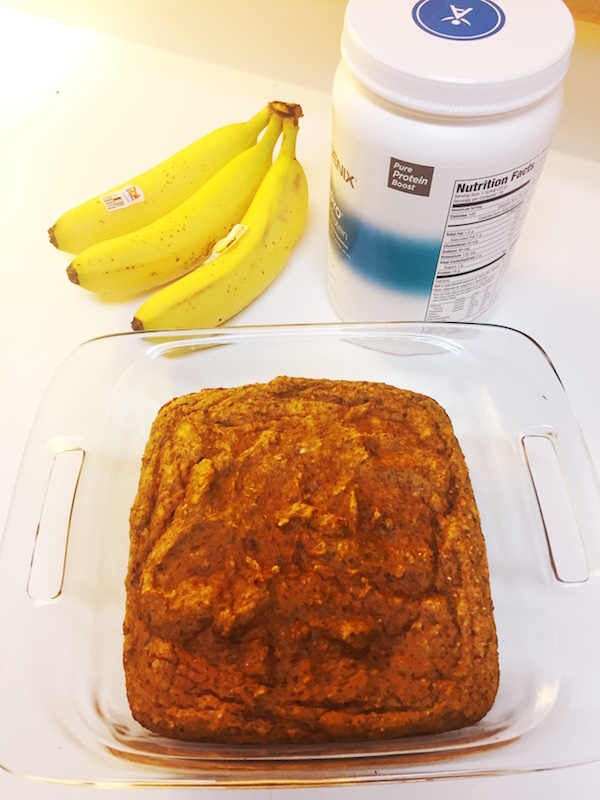 Pair your coffee drink with this delish banana protein bread, and you’re bound to have a good day! Mash ripe bananas in bottom of a medium sized mixing bowl. Add all other ingredients and mix with a large fork. Smear some coconut oil on a 9×9 glass baking dish. Pour in batter and spread with spatula until even. To serve, wait until cool, approx 15 minutes (if you can wait that long!). For on the go protein snacks, cut the bread into 12 squares and place 2 squares in a bit of foil. You can freeze or place in the fridge for on the go snacks!